On this date in 1662, Parliamentarian Sir Henry Vane the Younger was beheaded on Tower Hill for his service of Oliver Cromwell‘s Protectorate. Adopting Puritan beliefs to the irritation of his politically connected father,* Vane emigrated to that sect’s Massachusetts colony and was elected governor at the ripe old age of 23, backed by the faction forming around religious dissident Anne Hutchinson. Back in Old England, the Young Vane’s energy served the Roundheads well during the English Civil War. Though never a soldier, he rose to the Republicans’ statum of political leadership, and moved the money and legislation that loosed Cromwell’s armies. Vane served on the Parliament’s wartime military counsel, the Committee of Safety and — after Vane himself played a crucial diplomatic role bringing the Scots into the fight** — on its successor body, the Committee of Both Kingdoms. Vane’s experience in the New World also gave him a bent for religious liberty that was unusually staunch for his time, and made him a key figure of the church “Independents”, one of the Interregnum’s dominant factions. What severs each, thou hast learned, which few have done. In peace, and reckons thee her eldest son. Vane’s sage counsel — and what he would later describe as “my tenderness of blood”† — made him unwilling to participate in the execution of King Charles: it was as a spectator and not an M.P. that he watched Parliament try the deposed sovereign. But whatever his scruples on regicide he remained an enthusiastic legate of the state and wheeler-dealer of the Rump Parliament. This parliament had an active‡ four-year run. Few were more active in it than Vane, one of its leading figures until the very day Oliver Cromwell forcibly dissolved the body — an act, Vane protested, “against morality and common sense,” prompting the exasperated Lord Protector to sputter, “Sir Harry Vane, sir Harry Vane — the Lord deliver me from sir Harry Vane!” Vane, aware that the increasingly disaffected army might strike Parliament at any time, had before Cromwell’s intervention been attempting to enact electoral legislation whose intended correction of misrepresentative parliamentary allotments anticipated the Great Reform Act by 180 years. After April 20 1653, Vane’s political career was essentially done bar a momentary recrudescence when the old Rump Parliament was briefly retrieved from mothballs after Cromwell’s death. He diverted himself with the retired statesman’s traditional amusement, the creation of manifestos. He might have been better served to resume his association with the colonies. When the Stuarts returned in 1660, and notwithstanding our man’s distaste for the regicide, Vane was exempted by name from the amnesty of the Indemnity and Oblivion Act. The Coercive, or, Executive Power is placed in one Person, under the Name and Style of a King, to be put forth not by his own, single, personal command, but by the signification of his Will and Pleasure, as the Will of the whole State, in and by his Courts and Justice, and stated publick Councils and Judicatures, agreed on for that purpose, between him and his People, in their Parliamentary Assemblies. The Will of the whole State, thus signified, the law itself prefers before the personal Will of the King, in distinction from the law, and makes the one binding, the other not. This idea had legs, even though Charles I (“a subject and a sovereign are clean different things”) had given his head to reject it. The Cavalier Parliament made him answer charges of treason “for compassing the death of King Charles the 2nd, and intending to change the kingly government of this nation”: like most such cases, the verdict was ordained by the charge, no matter how eloquently Vane sustained himself. He was granted the gentleman’s favor of beheading rather than the drawing-and-quartering torture that true regicides endured. Rightly anticipating that the Will of the King would not permit him to address the crowd from the scaffold — a battery of drummers and trumpeters repeatedly interrupted his intended address, and finally the sheriff tore the notes from Vane’s hands§ — Vane had wisely given to friends some copies of the speech he intended to deliver. They saw it posthumously published. There are freely available public-domain biographies of Henry Vane here, here, and here. ** The “Solemn League and Covenant” that in the 1640s sealed the alliance between English Puritans and Scottish Presbyterians with an (apparent) pledge to privilege Presbyterianism on the entire island, north and south. Cromwell failed to do this after the Civil War, driving Presbyterians into the arms of the royalists; then, Charles II also failed to do it after the Restoration, driving the truest believers to embrace martyrdom. It was the Solemn League and Covenant that gave these martyrs their appellation: the Covenanters. Indeed, Burnet wrote, this had become true of executing regicides in general. tho’ the Regicides were at that time odious beyond all expression, and the trials and executions of the first that suffered were run to by vast crouds, and all people seemed pleased with the sight, yet the odiousness of the crime grew at last to be so much flatten’d by the frequent executions, and most of those who suffered dying with much firmness and shew of piety, justifying all they had done, not without a seeming joy for their suffering on that account, that the King was advised not to proceed farther. I have searched over many years without success to unearth just what this enigmatic historical character was or did that raised so much ire in the normally laid back Charles 11 that he insisted on his execution when he was not a regicide. Well, G.D., while I don’t know Charles II’s specific reasons, I think Vane’s trial defense was suicidal, and Charles II knew Sir Harry would never stop telling truth to power. 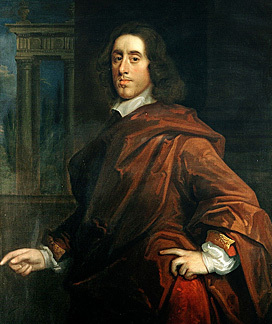 The last thing Charles wanted was for Parliament to have supreme power, or for people to be given complete liberty of conscience regarding religion, with Anglican authority removed from government. Popular vocal men of principal can be impossible to live with. Looking for a possible granddaughter Elizabeth Vane who may have married an Edward Austen in Tenterden in 1711. D.O.B. 09-17-1945, Pasadena, California. I’m so proud of the legacy Sir Henry Vane has left for me. I really enjoyed reading your article! It dawned on me that you may know of somewhere on the web where I can find records of Sir Harry’s family. I am really interested in his daughter Frances Vane who was said to marry John Grubb in Cornwall, one of my ancestors. Vane is one of the truly interesting “footnote characters” in all of history.